Corporate mining has announced investments on the order of R$ 47 billion by 2013 in Brazil, the highest volume seen from private initiatives in the country. This total represents a decrease of 20% over figures projected before the worst phase of the international financial crisis (R$ 57 billion). Instituto Brasiliero de Mineraçao-IBRAM estimates that investments between 2010 and 2014 will total R$ 50 billion, a clear demonstration of the consistent recovery of business in the mineral sector. 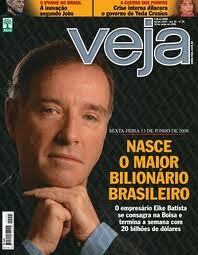 via Billionaire Batista in Talks to Sell $1 Billion EBX Stake. as the billionaire continues his quest to become the world’s richest man. “Imagine me getting my engine and adding another turbo charger,” Batista said in a telephone interview from Rio de Janeiro late yesterday. Earlier in the day he had announced a deal to sell 5.63 percent of his empire of commodity companies to Abu Dhabi’s Mubadala Development Co. for $2 billion. 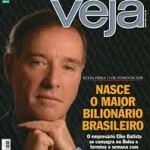 The Brazilian mining and energy magnate has seen his net worth surge 17.6 percent this year to $26.5 billion, making him the 11th richest person on Earth, according to the Bloomberg Billionaires Index, a daily ranking of the world’s wealthiest.